Sat, 20 Jul at 7:00 PM - Sun, 21 Jul 2019 at 10:00 PM . NO ALCOHOL TO BE BROUGHT INTO SITE BY THIRD PARTY. 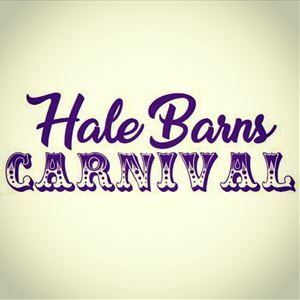 The Hale Barns Carnival will return for its third year held on July 20th and July 21st 2019. This year's event features Spandau Ballet's MARTIN KEMP (Gold, True, Through the Barricades) headlining alongside UK soul legends; THE REAL THING (You to Me are Everything, Can't Get By Without You, Can You Feel The Force), Disco Superstars; ODYSSEY (Use It Up & Wear it Out, Native New Yorker, Inside Out) and 80s heart throbs; NATHAN MOORE/BROTHER BEYOND (Harder I Try) & OWEN PAUL (Favourite Waste of Time).